A portrait session can be your family, pet, children or couple and take place either in the studio or a local park, the fee is $160 which includes the pre-session consultation to collaborate on the desired look, style and setting (outdoor, in the studio or at your home) of your portraits, scheduling of your session and the premiere to reveal your session gallery, assistance with selecting your favorites for printing and delivery of your final custom art pieces; all print products are sold separately. The session itself is typically about one hour and I work hard to keep the session fun and moving along so that dogs, children and husbands don't lose interest. It's ok if your dog needs to be on a leash (you can read about that in the FAQs) or if your children will run around, my job is to make things fun and enjoyable so there's no time limit, and no pressure. Each portrait experience is unique and customized for the individual client therefore no two are alike and overall investment varies. Clients should expect to spend a minimum of $500 on their photography experience. Print packages, which include digital image files, and wall art begin at $495. Visa and MasterCard are accepted. I accept a limited number of session appointments a month so that clients are ensured a thoughtful and memorable experience tailored just for them. I do not charge extra for weekend appointments, however they are typically the first to book so availability may be limited. 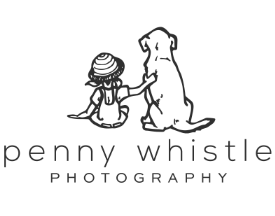 Any individual, couple or family portrait session can include your pet(s) at no extra charge.